Don Hanson III JS crafted this Integral Bowie for his JS test. 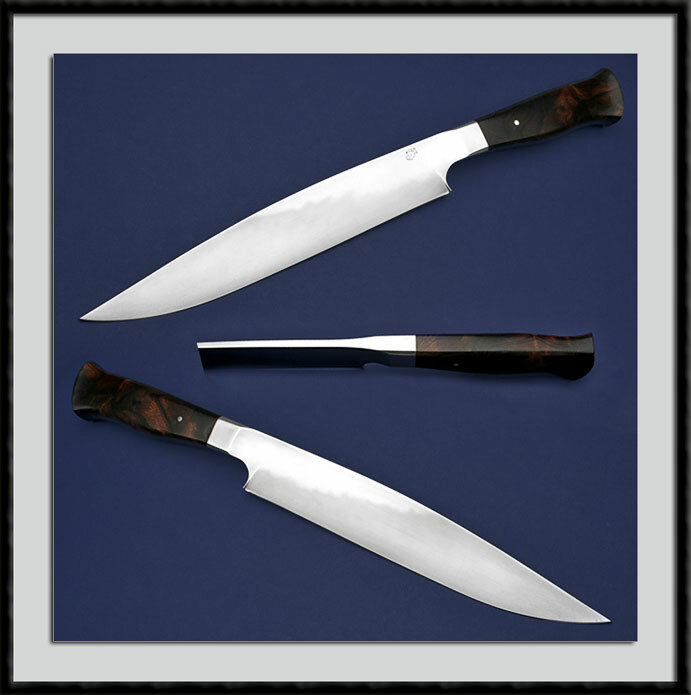 1060 Blade steel clay hardened with a pronounced Temper line, BL = 9 3/4”, OAL = 16 1/4", contoured Iron wood handle accented by a single pin. Comes with a zipper case. Fit and Finish are as good as it gets. Condition is Pristine.